Preheat the oven to 375°. Coat a 10-by-5-inch loaf pan with nonstick baking spray. In a medium skillet, cook the bacon over moderate heat, stirring occasionally, until browned and crisp, about 14 minutes. Using a slotted spoon, transfer to a paper towel–lined plate to drain. In a large bowl, whisk the flour with the baking powder, sugar, salt and pepper. Make a well in the dry ingredients. Add the beer and 3 tablespoons of the melted butter. Using a rubber spatula, stir until only a few streaks of flour remain. Fold in the bacon, cheese and scallions until just combined. Scrape the batter into the prepared loaf pan and smooth the top. Pour the remaining 1 tablespoon of melted butter over the top. Bake for about 1 hour, until a toothpick inserted into the center of the loaf comes out clean. Transfer the pan to a rack and let cool for 15 minutes. Carefully remove the bread from the loaf pan and let cool completely on the rack before slicing. Serve with softened butter for spreading. 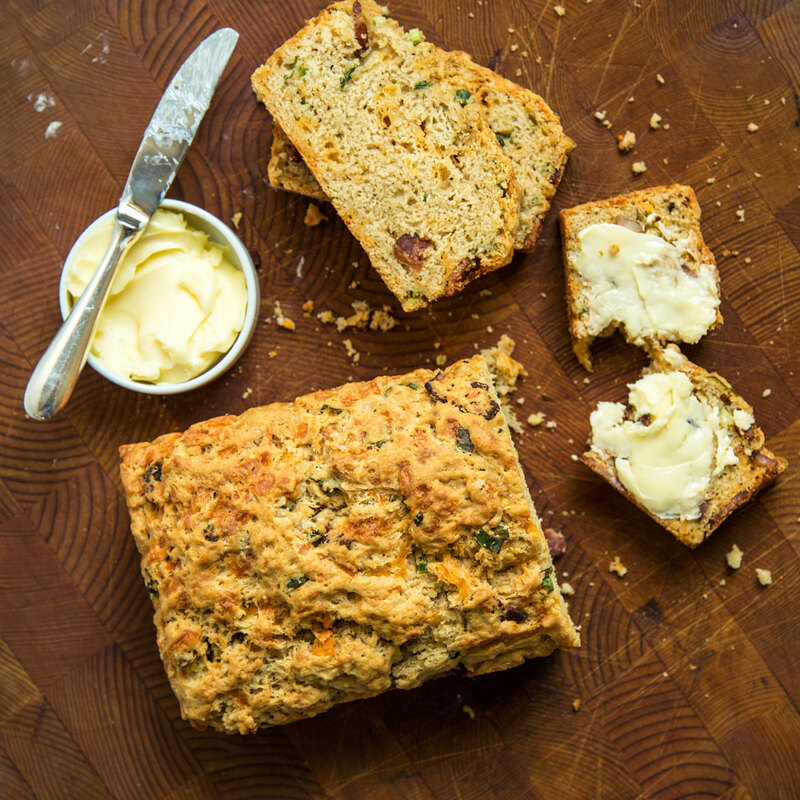 The beer bread can be wrapped in foil and kept at room temperature for up to 2 days.